GRAB YOUR ANNUAL ATHLETIC PASS. Choose an option below. Get access to all elementary, junior high and high school home games for 2018-2019 + get hooked up with new TCS Athletic gear (rally towels, hats, stadium blankets, etc.) to show your Eagle pride all year long. The Troy Christian Athletic Booster Club exists to support, encourage and advance the overall athletic program of our school. We will strive to cultivate and enhance school spirit, promote great sportsmanship and seek to influence, develop and encour­age Christian ideals in the behavior of our student-athletes, coaches and parents. Beginning 2018/2019 school year, the Athletic Booster Board will award two scholarships to a graduating senior. Each award will be worth $1000.00 and will go to one male and one female. Applications will be accepted. The minimum requirements will be listed on the application. Applications will be in the high school office beginning January 2019. The application deadline will be April, 2019. 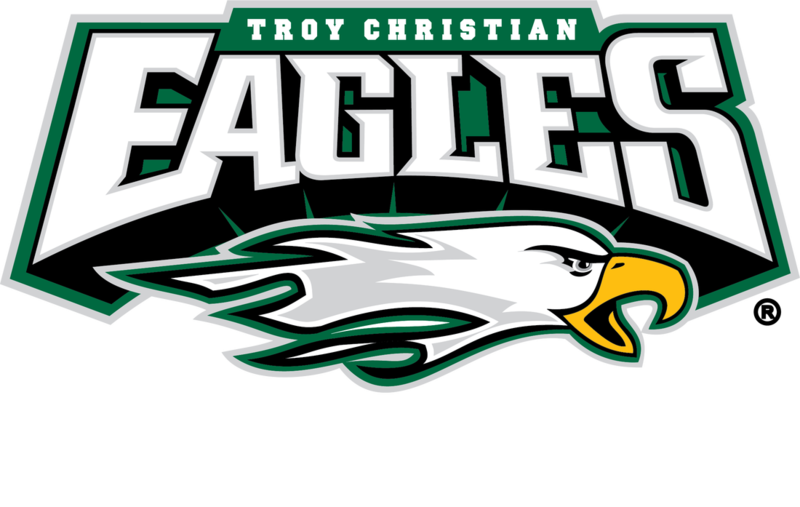 Troy Christian Schools has nearly 74% of the student population at TCS High School participating in sports? The booster club will support elementary little eagles, junior high and high school athletics and band. The TCS Booster Club is a non-profit organization under Section 501 (c)(3) of the IRS code. The Club will work in partnership with the TCS Athletic Department to provide supplementary financial support to ALL TCS teams that are not able to be fully covered by the school. This support is made through parent volunteers, memberships, sponsorships, advertising, concessions, fundraising events and sale of school spirit items. The Booster Club & Athletic Department alike will promote the prioritized and approved projects and needs of our facilities, athletic equipment and other resources.